Celebrities are just like us! 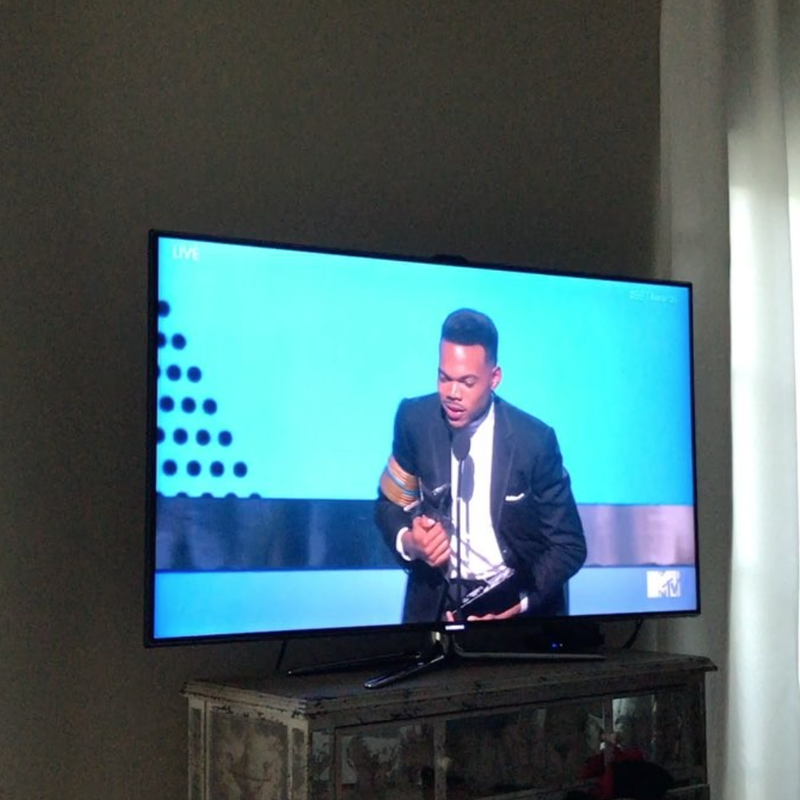 Check out some of our favorites, from Tina Lawson to Chance The Rapper, celebrating their wins and sharing behind-the-scenes moments from the 2017 BET Awards. "We match each other's fly! Me & my sis @majorgirl about to hit the red carpet!" 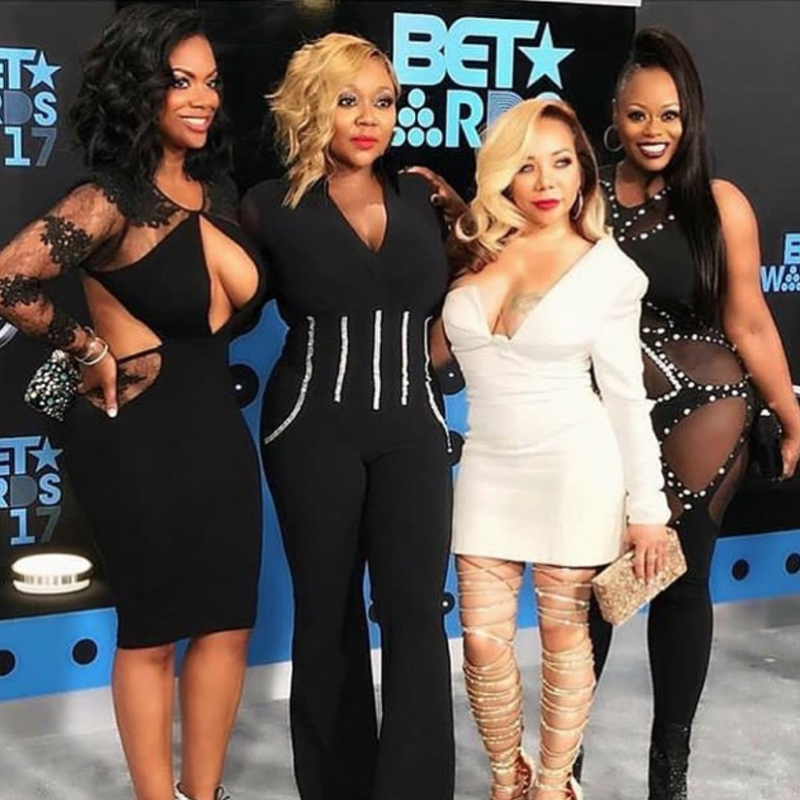 Kandi wrote on social media prior to the legendary girl group's performance. 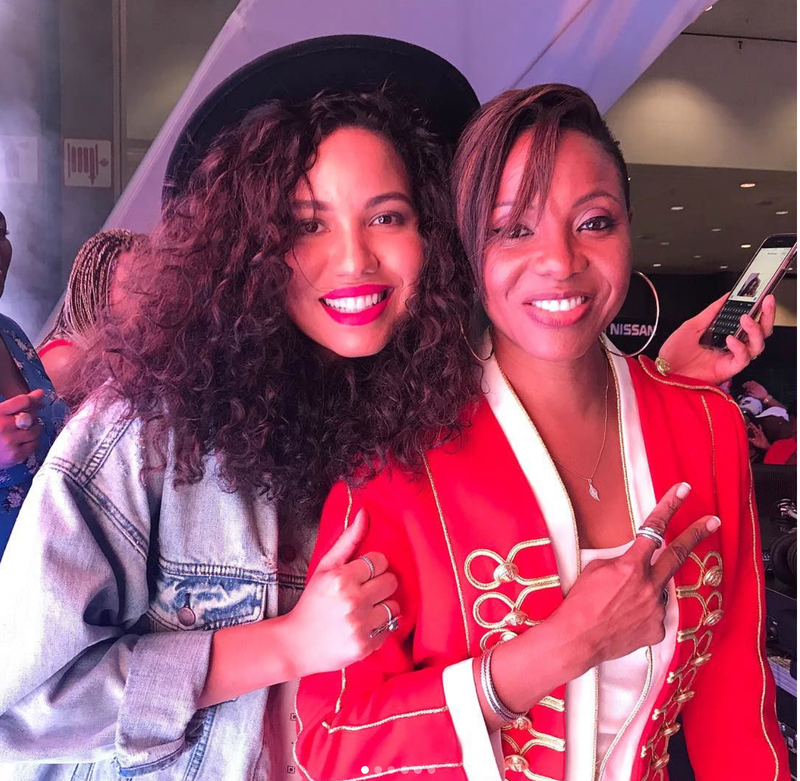 "✨Legendary✨this woman right here @mclyte is magic. ✨She gave me so much life today on the @nissanusa stage," the Underground star wrote on social media about MC Lyte. 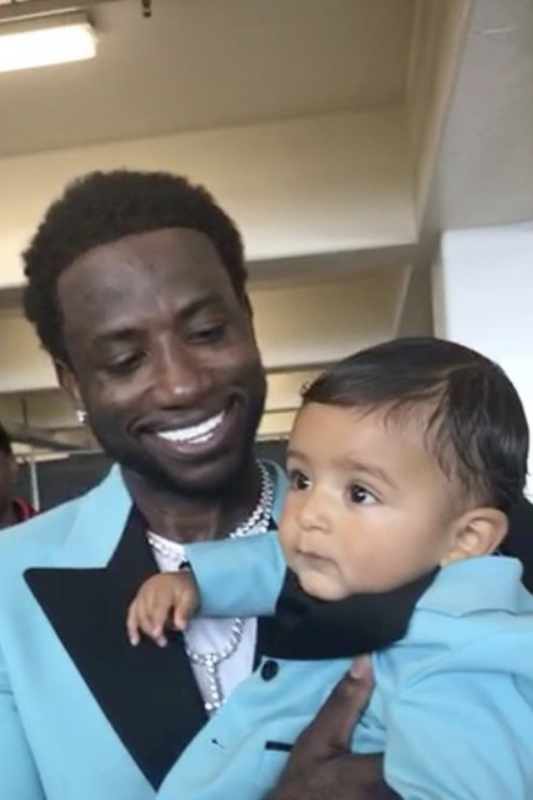 DJ Khaled shared an adorable photo of his son, Asahd who wore a matching suit alongside rapper Gucci Mane. 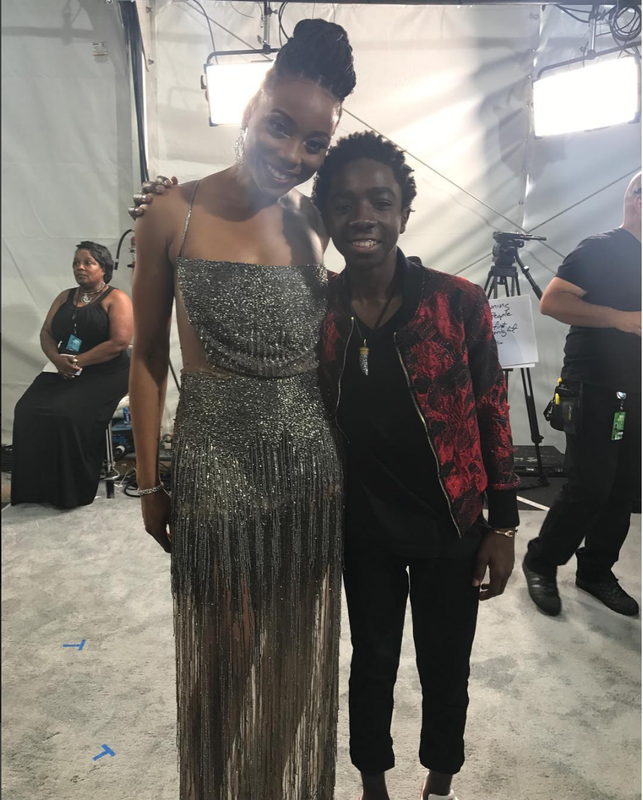 Stranger Things star, Caleb McLaughlin took a snapshot with actress, comedian and singer Erica Ash on the 2017 BET Awards red carpet. 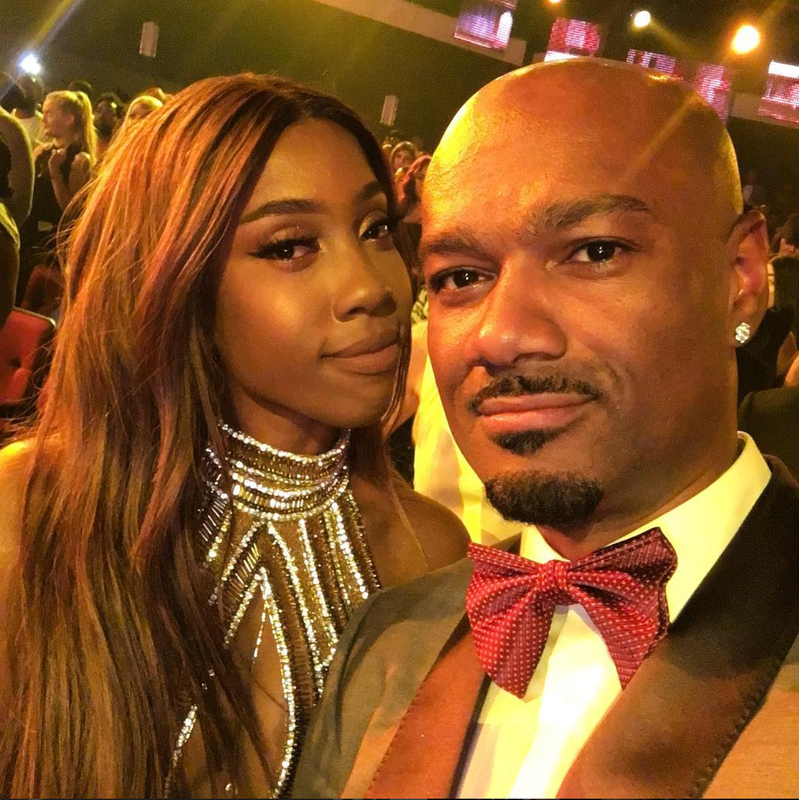 Television personality and former 106 & Park host, Big Tigger took a snapshot with singer-songwriter, Sevyn Streeter. 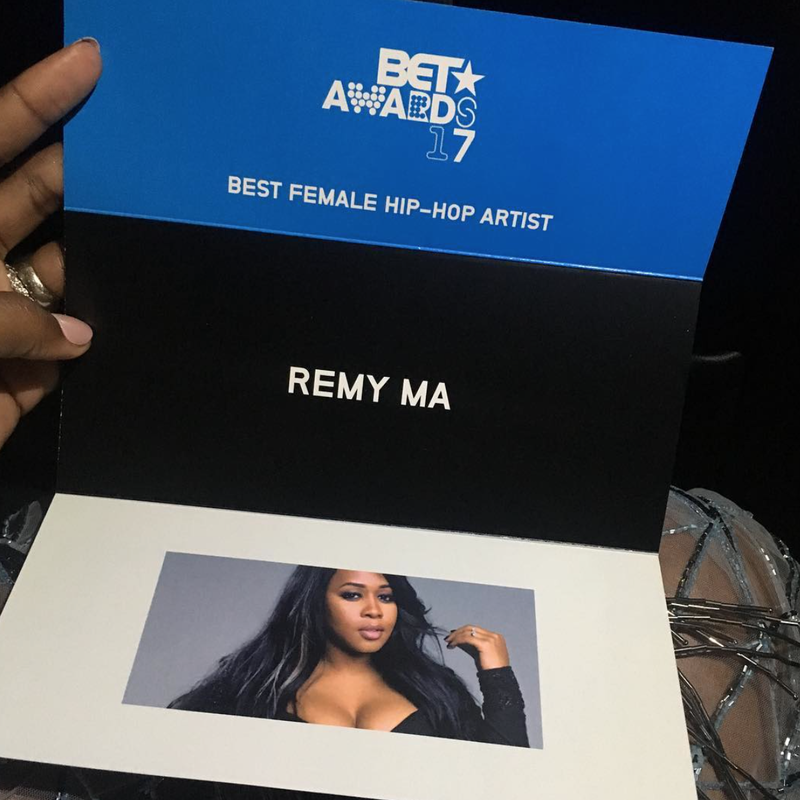 After winning BET's Best Hip Hop Artist, Remy ma shared her gratitude on social media. "This is for my baby, my world, my Jace. Thank you BET! Y'all just made so many people happy," she wrote on Instagram. 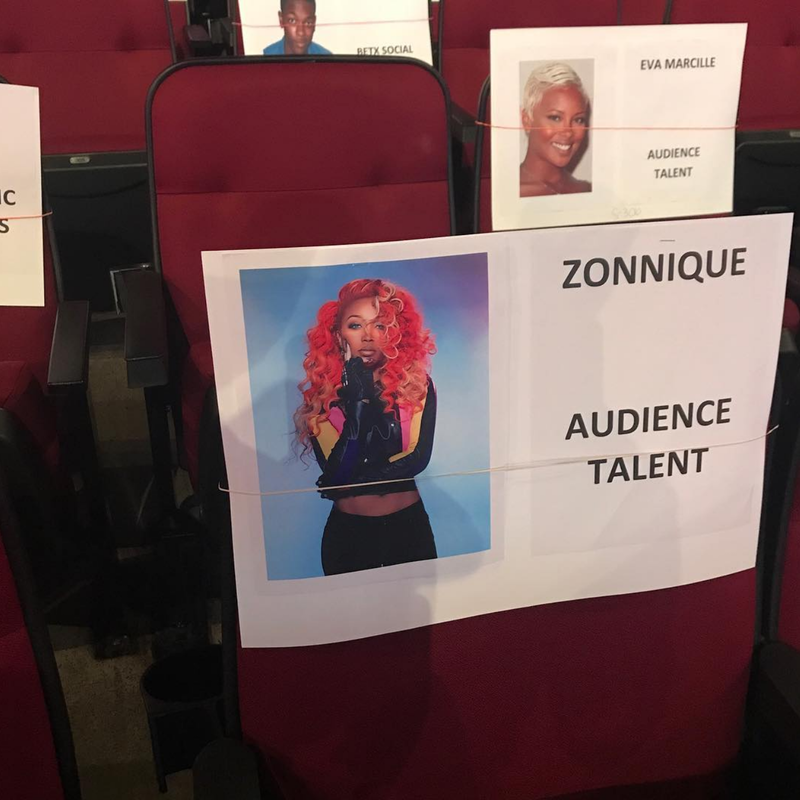 Zonnique, the daughter of Xscape's Tiny Harris, was amongst many stars in the audience during the 2017 BET Awards. 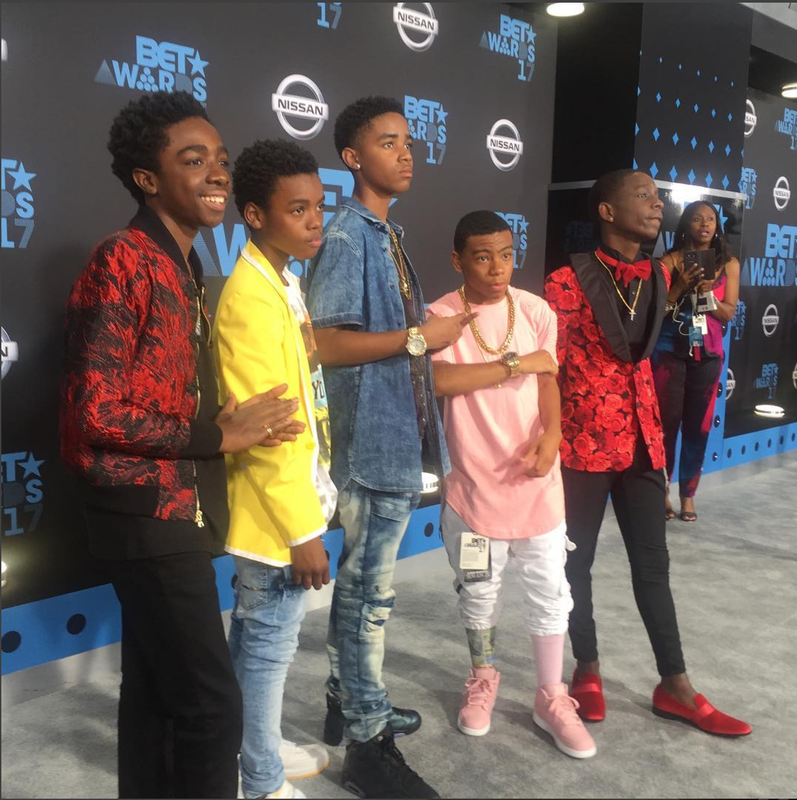 The New Edition Story cast members posed for photos on the red carpet during the 2017 BET Awards. 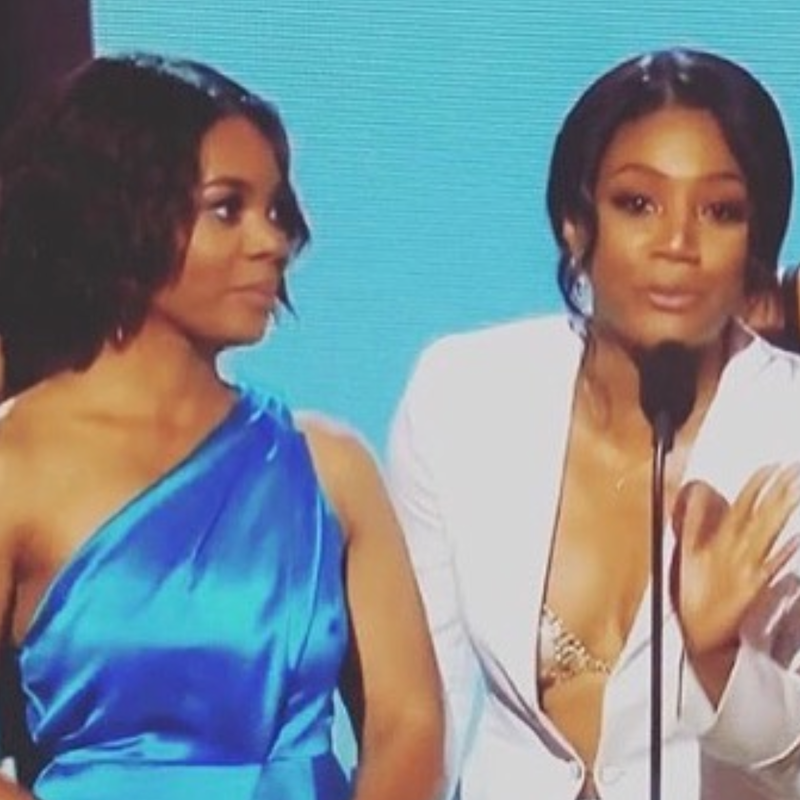 Girls Trip star Regina Hall shared a snapshot of her and fellow cast member, Tiffany Haddish while presenting during the 2017 BET Awards. 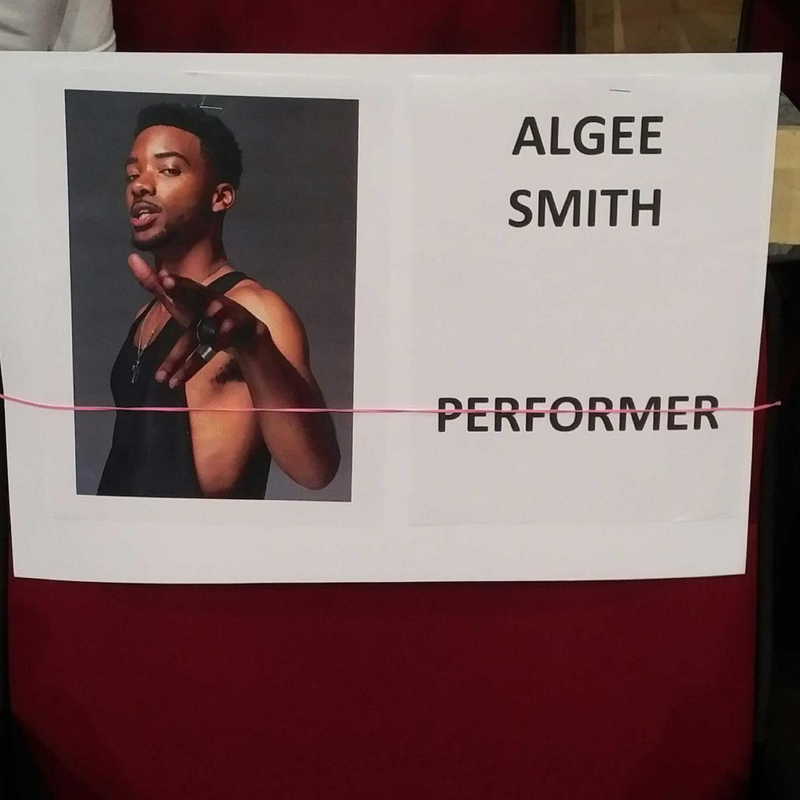 The New Edition Story cast member, Algee Smith performed alongside his co-stars during the 2017 BET Awards. 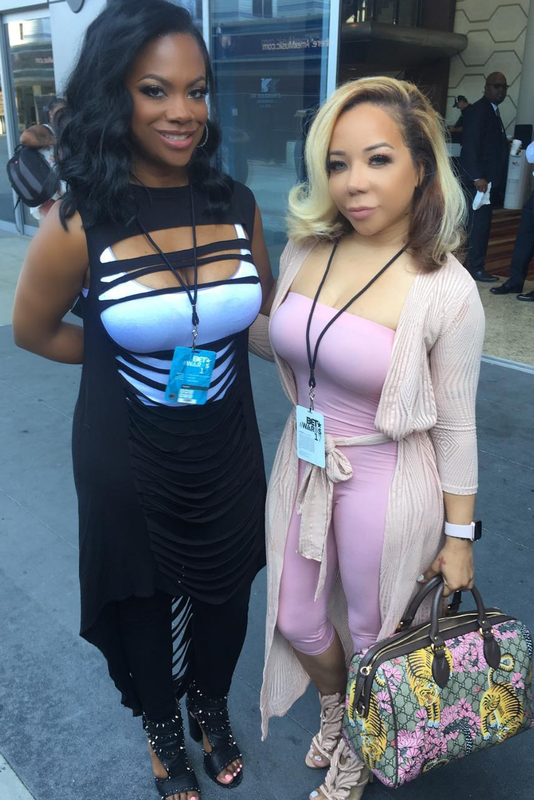 Xscape sisters, Kandi Burruss and Tameka Harris, were all smiles on the night of the 2017 BET Awards. 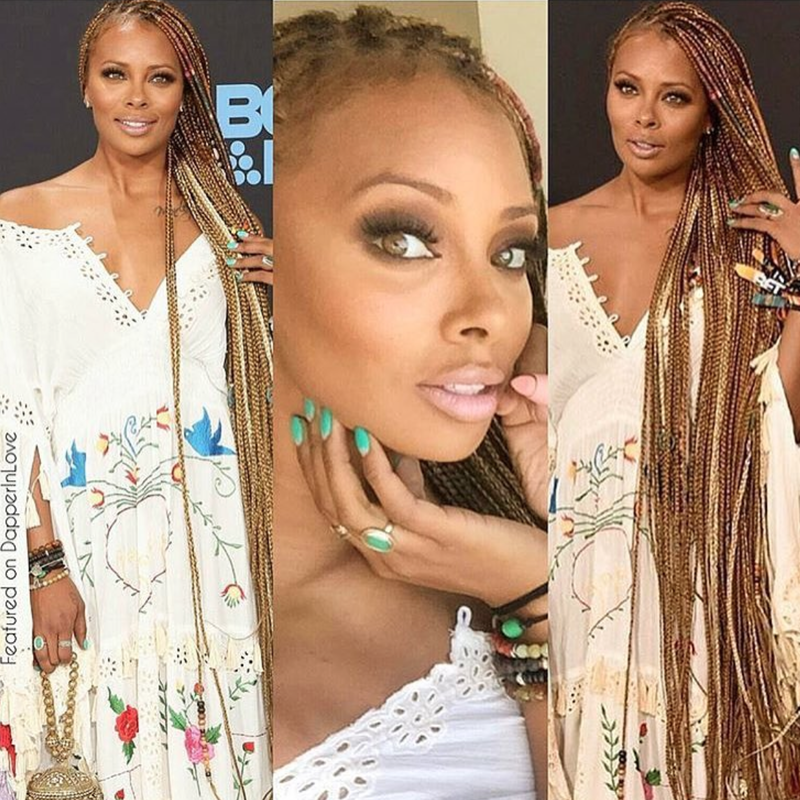 America's Next Top Model Season 3 winner, Eva Marcille was glowing in her long, blonde braids on the red carpet during the 2017 BET Awards. 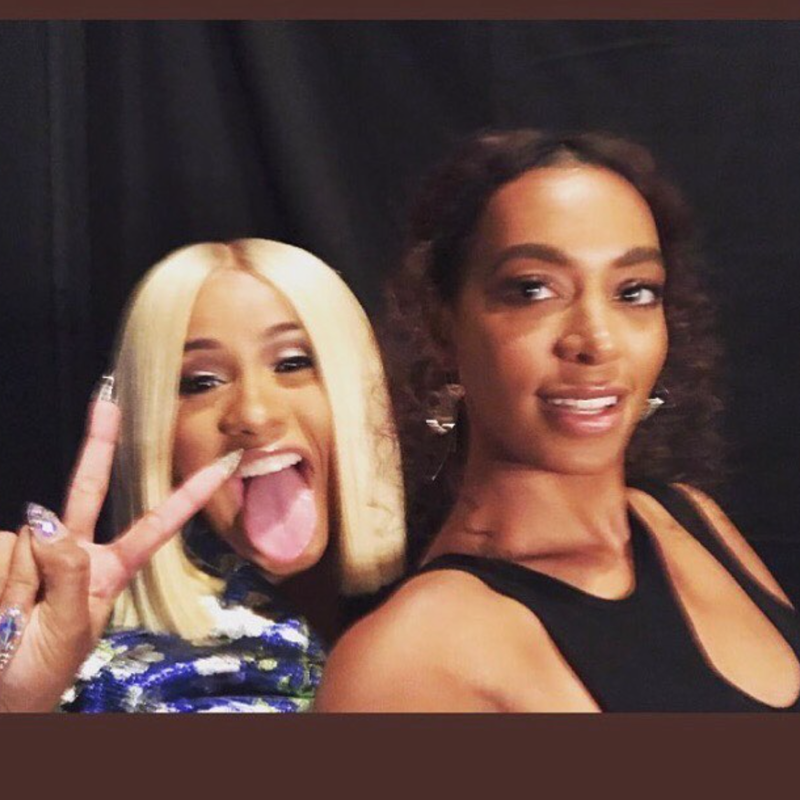 Hip-hop artist-actress, Cardi B shared a moment with BET's Centric Award Winner, Solange during the 2017 BET Awards. La La Anthony shared smiles alongside her 10-year-old son during the 2017 BET Awards. 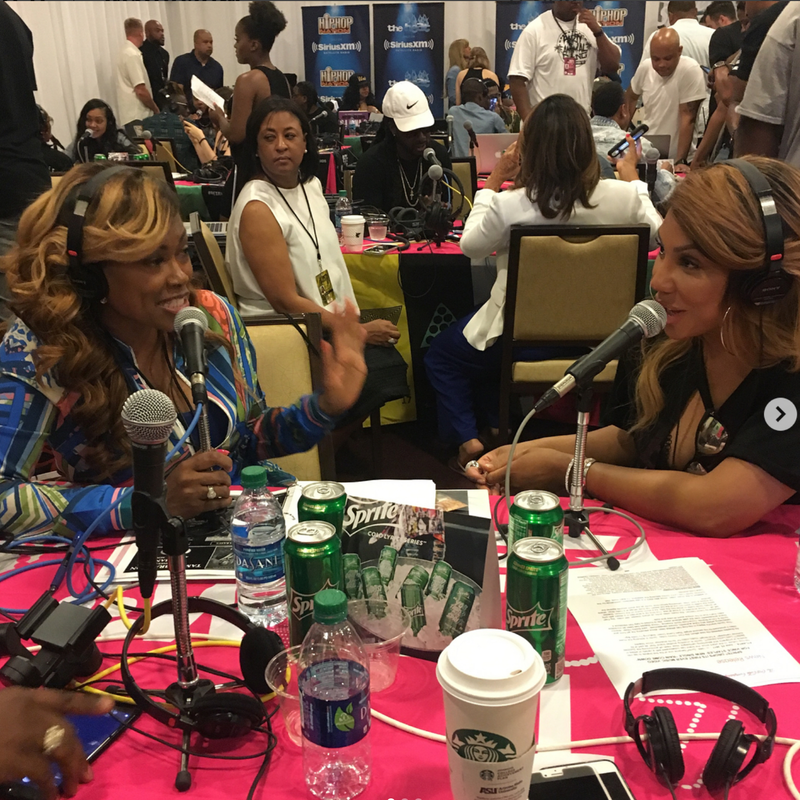 Singer-songwriter Tamar Braxton before her performance during the 2017 BET Awards. 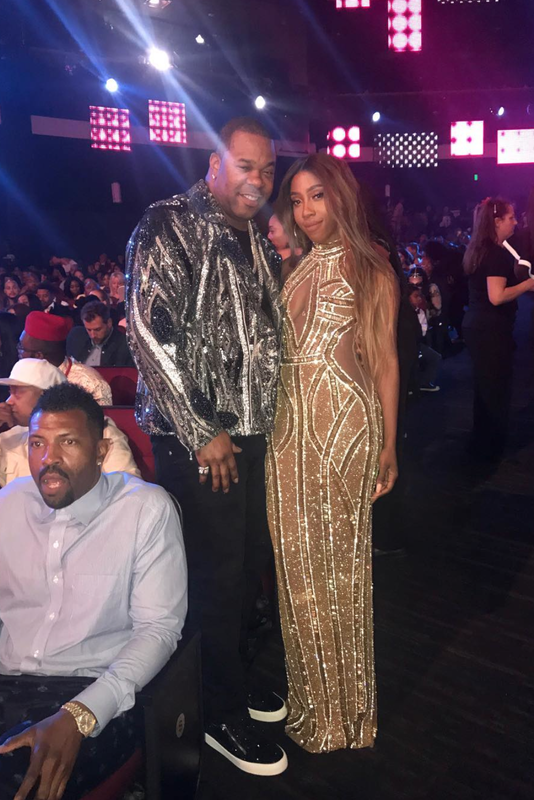 Singer-songwriter Sevyn Streeter takes a photo alongside rapper Busta Rhymes during the 2017 BET Awards. "I am soo impressed with this young man! Soo proud," Tina Lawson wrote on social media while saluting BET's youngest Humanitarian Award recipient, Chance The Rapper. 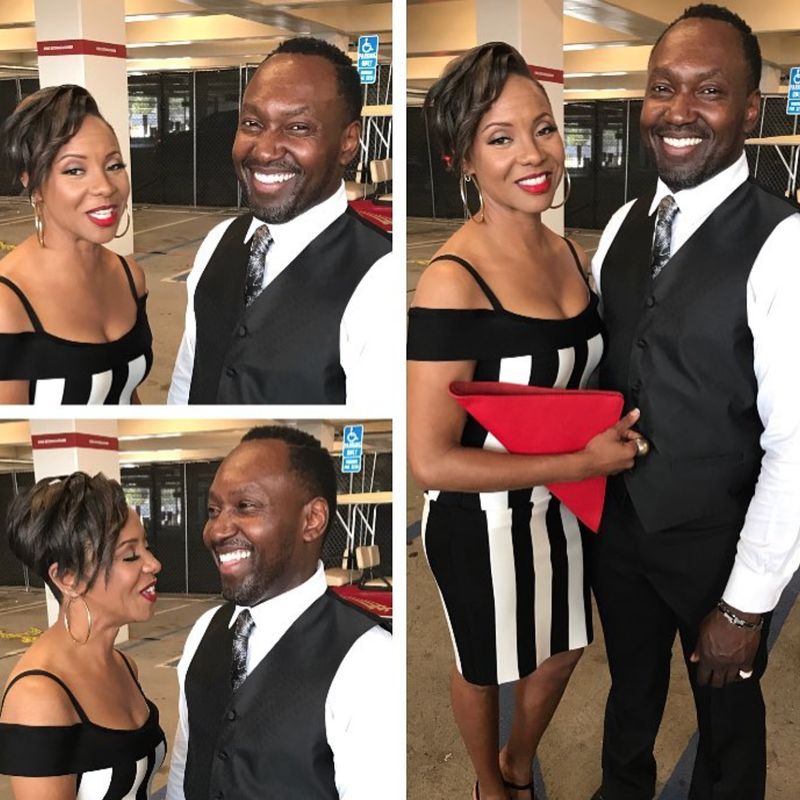 Zonnique poses on the red carpet during the 2017 BET Awards. Insecure star Issa Rae was a beauty during the 2017 BET Awards. The legendary girl group smiled for a photo on the red carpet for the 2017 BET Awards prior to their performance. 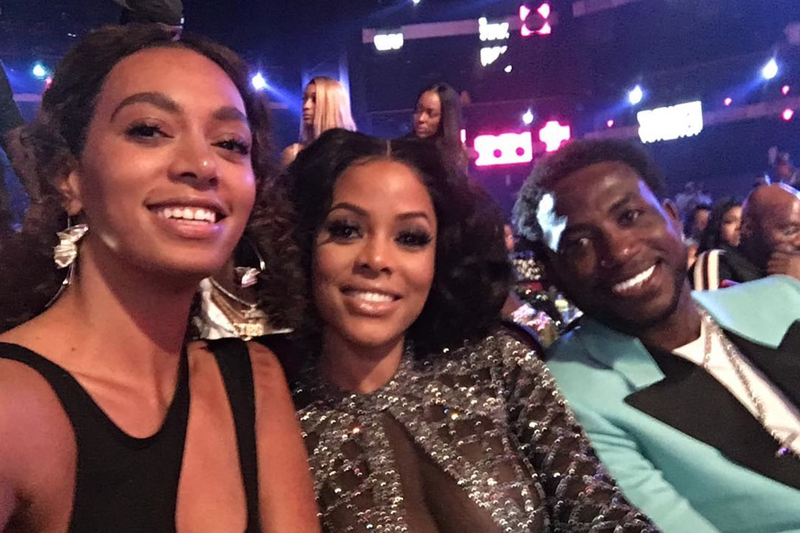 Cranes In The Sky artist, Solange shared a photo with newly engaged couple, Gucci Mane and Keyshia Ka’oir. Xscape previewed their 2017 ESSENCE Fest Reunion Concert during the BET Awards. 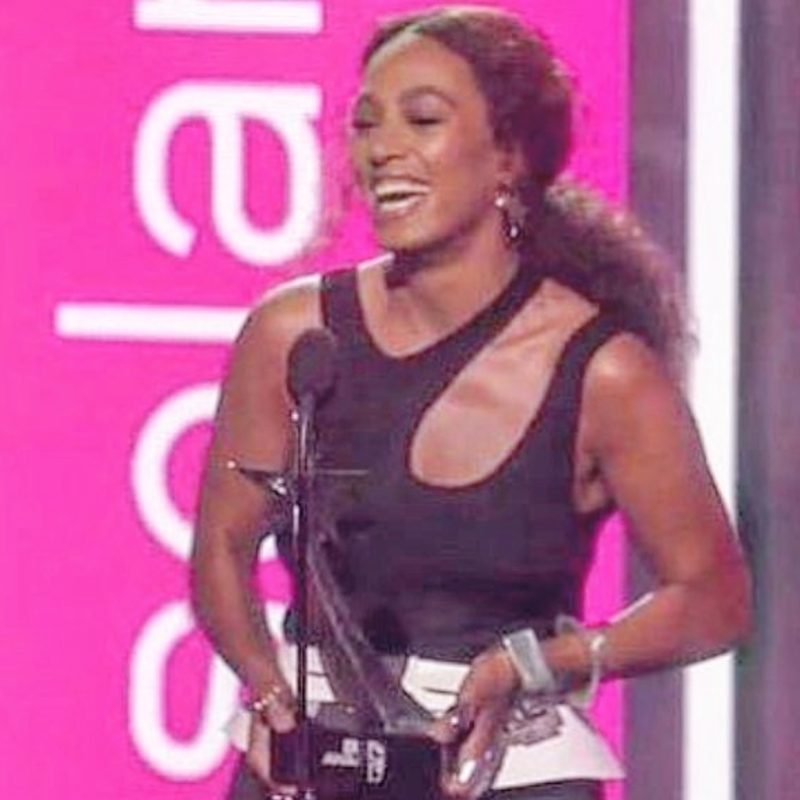 Singer-songwriter Erykah Badu shared a photo of BET's Centric Award Winner, Solange during the 2017 BET Awards. 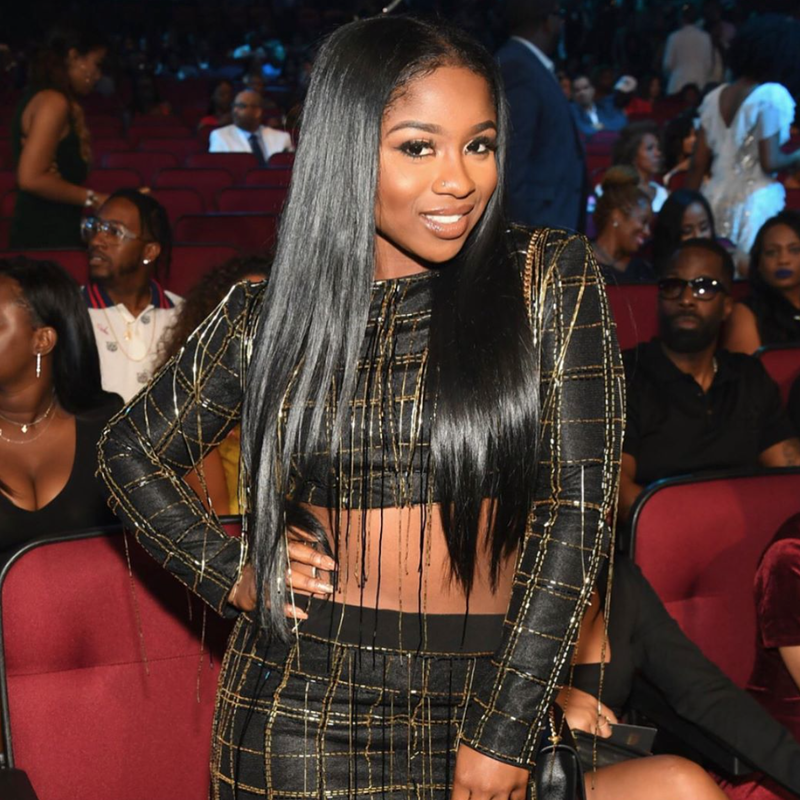 "My little black Barbie," Toya Wright wrote about her daughter, Reginae Carter posing for a photo during the 2017 BET Awards. 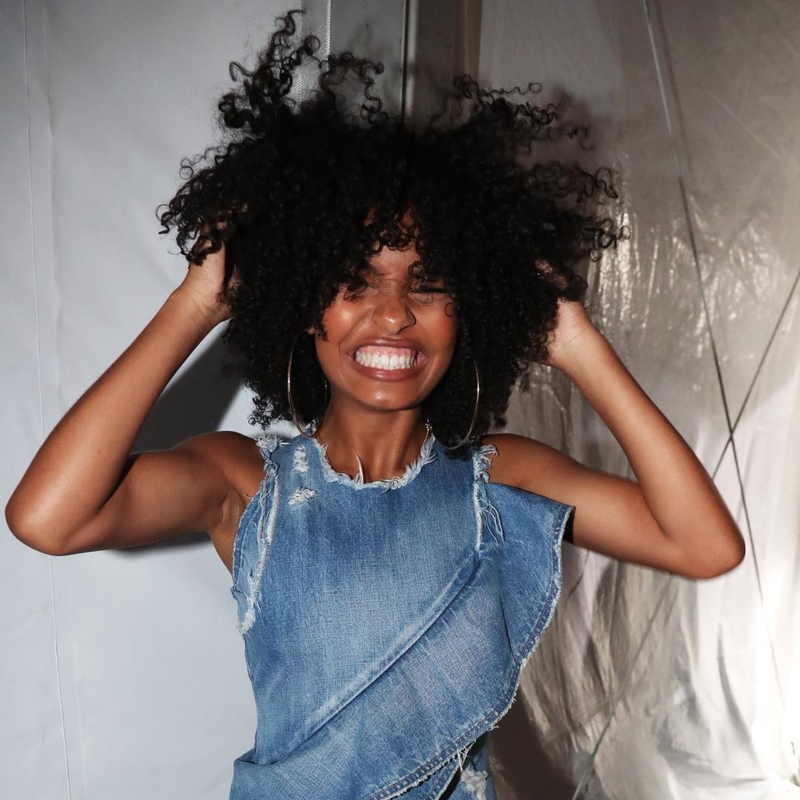 The Black-ish star channeled her usual #BlackGirlMagic during the 2017 BET Awards. Singer-songwriter Letoya Luckett rocked a beautiful dress from a collection by Vanessa Simmons and Candice Cuoco titled Bad Butterfly. 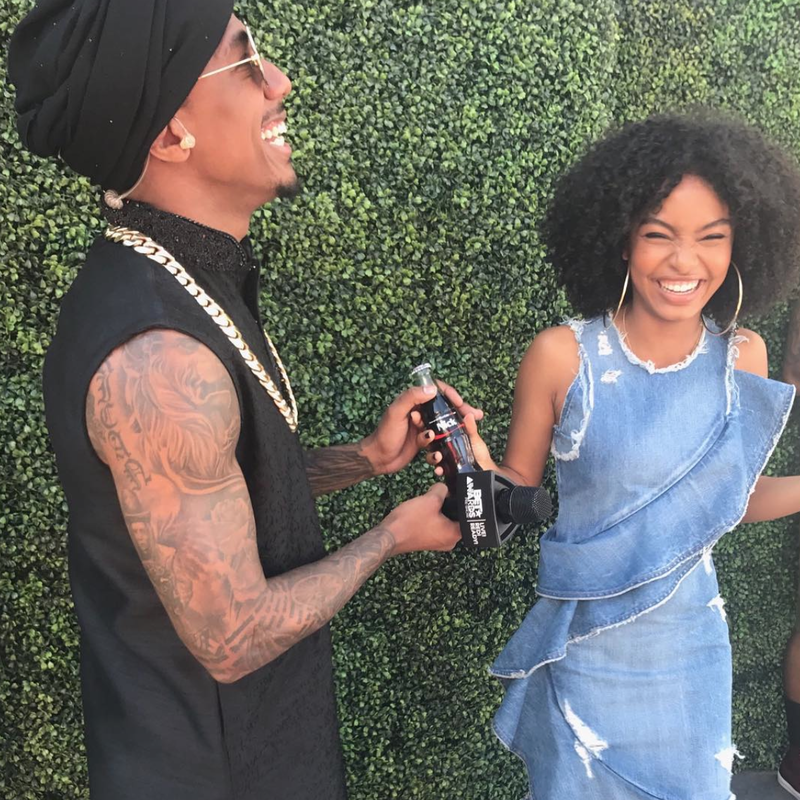 Harvard-bound Yara Shahidi shared a moment with actor, rapper and comedian Nick Cannon on the red carpet before the 2017 BET Awards. The newly engaged legendary rapper was beaming alongside her fiancé on the red carpet during the 2017 BET Awards. 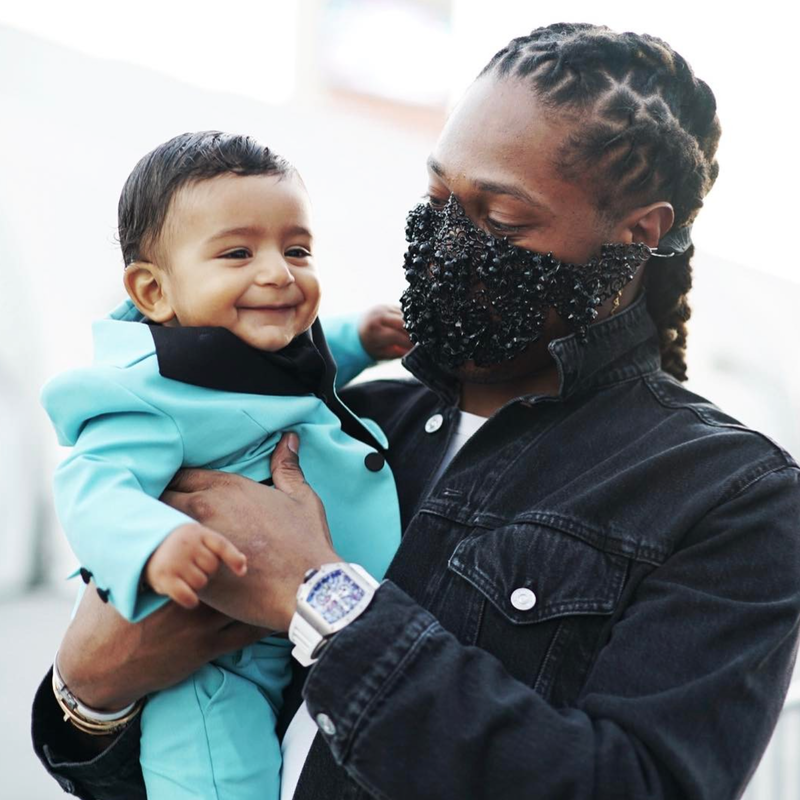 Rapper Future held DJ Khaled's son, Asahd on the red carpet during the 2017 BET Awards.